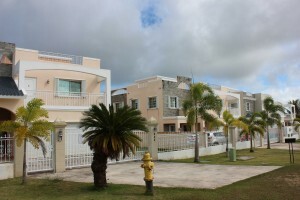 Barrigada Guam is a very popular residential neighborhood. 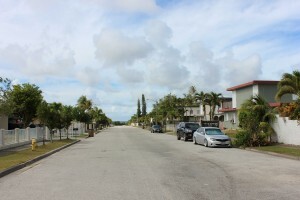 Located in the central part of Guam, the village is largely residential, with a small portion for commercial land use. It is known for being one the most affluent neighborhoods on the island of Guam, with homes that overlook the ocean and much of the island. Being that Barrigada is central Guam, it can take you roughly twenty minutes to drive to either Andersen Air Force Base in Yigo or Navy Base in Santa Rita. And it only takes about ten minutes to get to downtown Tamuning or the Micronesian Mall in Dededo. Three of Guam’s main routes run through the village, so it is easy for you to get around. Whatever your lifestyle may be, there is quite a few things right around the corner. For your convenience, the village of Barrigada Guam is home to the A.B. Won Pat Guam International Airport Authority, the primary regional facility in Micronesia and the US Post Office’s Guam Main Facility. If you are the military, the Guam National Guard Readiness Facility is in the heart of Barrigada. It is complete with a gas station and a mini mart for military member’s convenience. There are three public schools in the village for your child, and one private school. Bus stops are located around the area that serves a few of the Guam public schools that is in Barrigada, its surrounding villages, and DoDea. Besides the many conveniences, there are some fun things to do and places to see in Barriagda, Guam. The Admiral Nimitz Golf Course is a full service course that offers 18 holes of championship golf, a driving range, putting and chipping green, and a fully stocked golf shop. The golf range caters to Active Duty, Reserve and Guard, Retirees, and Civilians. They offer numerous specials for golfing, along with family specials, and free golf clinics. At night, the Mt. Barrigada, commonly known as Barrigada Heigths, has a great view of the airport and Guam’s “city lights.” Many upscale homes are located on Barrigada Heights that is beautiful at sight when you drive by. Barrigada has the best of both worlds. During the day, it’s a town, but at night, it’s a quiet paradise. The sun rises right behind Mt. Barrigada, a great way to start off any morning. We are sure you will not be disappointed should you call Barrigada Guam home. There is a little something for everyone.